With this Launch Outfitter travel trailer, you can see the country without losing the comforts of home. 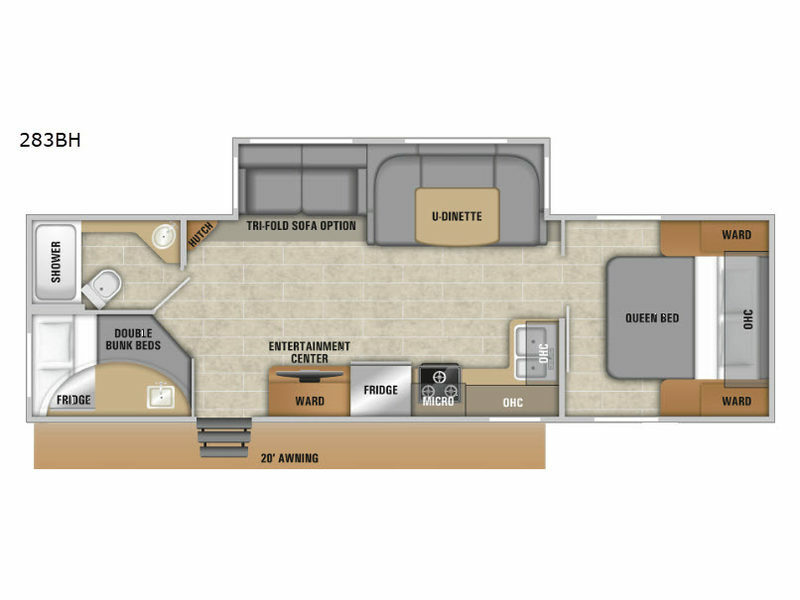 This unit has plenty of interior living space because of a single slide that has been incorporated into the design, and it also has an exceptional amount of sleeping accommodations giving it a capacity to sleep ten individuals during every adventure. Inside of the private bedroom you will find two wardrobes which allow you to store all of your camping garments effortlessly each time you travel, and the full kitchen will come in handy as you prepare a breakfast feast for all of your traveling companions. You will thoroughly enjoy all of your camping adventures in any one of Starcraft's Launch Outfitter trailers. Many of these flexible units have been designed to be towed by today's smaller vehicles but still include all of the excellent features that you've grown to love! 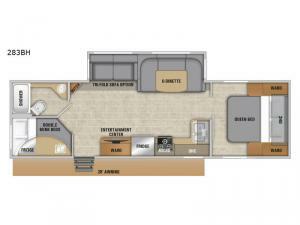 The Launch Outfitter features a 6 gallon gas DSI water heater, prep for solar panels, warm Sugar Maple wood cabinetry, plus valances and pleated shades too. Completely backed by a 3-year limited structural warranty, the Launch Outfitter has been masterfully constructed with a Magnum roof system, 5/8" main floor decking, and fiberglass roof insulation. With all of these features, you'll feel like you have brought a little bit of home with you!